James Wm Bend is one of the men named on the Bottesford ‘church list’ of WW1 servicemen. James William Bend, son of Mark and Ann Bend (neé Freeman), was born on the 21st December, 1880, and baptised at Bottesford on the 17th April, 1881. At the date of the 1891 Census, Mark Bend, a 34 years old railway platelayer, and his wife Ann, aged 33, lived at 2 Bunkers Hill Cottages, Bottesford, with their children Emily (13), James (10), Henry (8), Walter (5), George (2) and Percy (1). In 1901, Mark Bend, now a widower, was still at 2 Bunkers Hill, with Annie (25), George (12), Percy (10) and Edith (7). James, however, was now 20 and had left home to work as a railway porter at Netherfield, Nottingham. In 1911, James was at work as a Railway Goods Guard, lodging at 16 Curzon St, Netherfield, Nottingham. 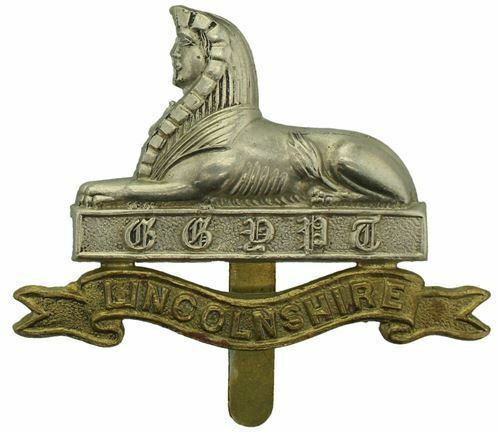 However, records show that he had been a soldier in the Lincolnshire Regiment from 1899 to 1911. At the date of the Census, he was still officially in the army, but may have started civilian work pending completion of this discharge. James William Bend attested on the 24th April, 1899, and joined the 4th Battalion, Lincolnshire Regiment, as Private 3485. He stated that he lived at Netherfield, Nottingham, had worked as a railway porter for the GNR, and that his father was Mark Bend of Station Road, Bottesford. He received his posting on the 21st November 1899. He was promoted to Lance-Corporal, unpaid, on the 16th March, 1900, and did not receive the “pay of the rank” until the 13th March, 1900. He was awarded two GC (Good Conduct) badges on the 31st July, 1904, and promotion to corporal on the 29th June, 1904. His periods of service were: Home, 31/7/1899 – 26/11/1900; South Africa, 24/11/1900 – 7/3/1902; India, 8/3/1902 – 26/10/1906; Home 27/10/1906 – 20/7/1911. He was discharged on the 30th July, 1911. His service record also shows that he received his Certificate of Education 2nd class on the 14th November, 1899, and 1st class on the 28th March, 1905. He also completed his ‘Instruction Mounted Infantry Certificate’ at Bangalore on the 20th September, 1902. He was awarded the S. Africa Medal with Clasps “Cape Colony”, “Orange Free State”, “Transvaal” 1901 & 1902. No record of further military service, after his discharge in 1911, have been located. However, he may well have become an army reservist. In 1914 he would have been 34 years old, and probably eligible for recall to the forces, but this has not been confirmed. No confirmed post-war records of James William Bend have been found. A man named James Bend married Eliza Tatton in 1918, at Nottingham, but this may not have been the Bottesford man. A man by this name sailed to Canada in 1928, travelling from Southampton to Halifax, Nova Scotia, on the Cunarder “Tuscania”, but again there is no certainty that this was the man from Bottesford. Military records for the period 1899-1911 have been located, but further service in WW1 has not been confirmed. James moved to Canada after the war and lived in Battle River, Alberta, near Lloydminster. He is listed in the 1916 census. I am his Great-Grandson. Neil, in regards to James Bend, in 1907 he applied for land to homestead in 1910, and it was granted in 1911. In 1915 he married Mary Helena Manning, and the birth of their son James Manning Bend was in 1917. He is listed on the census in 1916 and again in 1921, and is also on voter lists in 1940, 1945 & 1958. He died in 1959, and was buried in Lloydminster, Alberta. His farm was listed as Battle River, the nearest town was Lloydminster, and it straddles the Alberta/Saskatchewan border which may cause confusion if looking at records.